With one call, Capital Limousine Service can provide luxury limousine, sedan, van, and mini-bus service for: nights on the town, dinner engagements, sporting events, concerts, conventions, tours, weddings, proms, and a host of other important engagements. There is nothing like the feeling and security of riding in a CLS luxury vehicle. Every one of our managers is well trained in the many facets of our service oriented business, from the limousines, sedans, vans, and mini-buses, to the chauffeurs, to special requests, to directions, to scheduling, to payment, there number one priority is to serve you, the client and to make your special event or trip memorable. 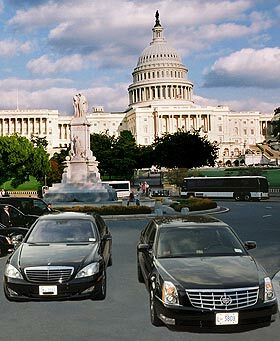 The Mercedes, Lincoln, Cadillac, Lexus, B.M.W., and other sedans CLS offer to its distinguished clientele are a dream. The comfortable roomy seating and quiet ride are a beautiful escape and joy to ride in. These are the finest cars made in the world for comfort, grace, and style and CLS would have it no other way. One can but feel the tension and stress leave the body when the door of one of these vehicles shut and the world is shut out. The drive is smooth and unmatched by any other vehicles made. Our posh and luxurious limousines are chosen and purchased for their unique styling, graceful lines, and beauty. 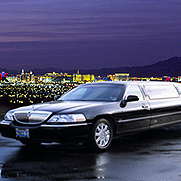 The limousines offer passengers plenty of room, comfort, seclusion, and privacy. They are equipped with wet bars, beverages, digital sound, tinted windows, and anything else the client may ask for to make their time in a CLS limousine unlike any other they have ever enjoyed. 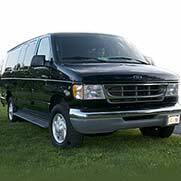 CLS custom vans come in various sizes and seating configurations, for groups large and small, with a few bags of luggage to dozens of bags of luggage. The vans are well styled and cleaned under a thirty-five point check system each time they are taken out. The windows provide beautiful views to the passing scenery and allow room for groups of one to a dozen. 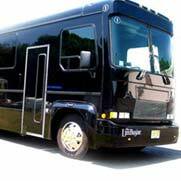 Provide maximum comfort and visibility for groups up to thirty-three people with our custom built mini-buses. Let our chauffeurs drive you in style to any location you desire. Our management team can answer any questions you may have (24) hours a day, (365) days a year. You will not get an answering machine or recorder, but you will get a live voice ready to help you with any questions, or demands you may have.